Well, Refrain was noticeably less filler than the original series was, which I’d say is pretty nice. I will say that the one thing I didn’t expect about the ending was that Kyousuke would continue being the focal point of the Little Busters group. I would have expected at least some of that to shift to Riki/Rin. I assume the point was to show that things were back to normal. But I wonder what it says about the long-term effects of Riki’s character development. So it looks like Rin gets a moment for herself. Finally she decides to stop being numb to everything. I guess it was also partly to give the girls their moments since Riki only allowed the original Little Busters members to say their goodbyes. I think the use of the dual protagonist in this show is a bit interesting in the fact that they can do something like this. Anyway, it seems that next week will be the end of it all. I don’t think it’s hard to guess that Riki and Rin will be able to work together to save everyone. But I’m curious. Is everyone still alive at this moment? Are all the characters simply at the brink of death? Even after all that talk about no longer existing in this world? I personally think that’s a bit off if they’ve simply given up on life after telling Riki and Rin to hang on so much. Also, what about the rest of the unnamed characters in the class? Is everyone going to be saved? Okay, everyone. Pack it up. We’re done here. What a nice bittersweet ending, right? We can all accept this as an ending to this series, right? Sigh…if only it were that simple. Something that really bugged me this episode was that while Riki was having these emotional goodbyes with his friends, Rin was just standing there with a blank look on her face. She seemed to notice Kengo’s disappearance, but there’s no real explanation for her lack of reaction. Well, I suppose there would be general outrage if the show didn’t end with a perfect happy ending. Sigh…I guess I’ll have to make it through somehow. If only I could stop the show here. I think the only problem would be that Riki never really had a chance to say goodbye to the other characters. Also, Rin doesn’t seem to have changed much. 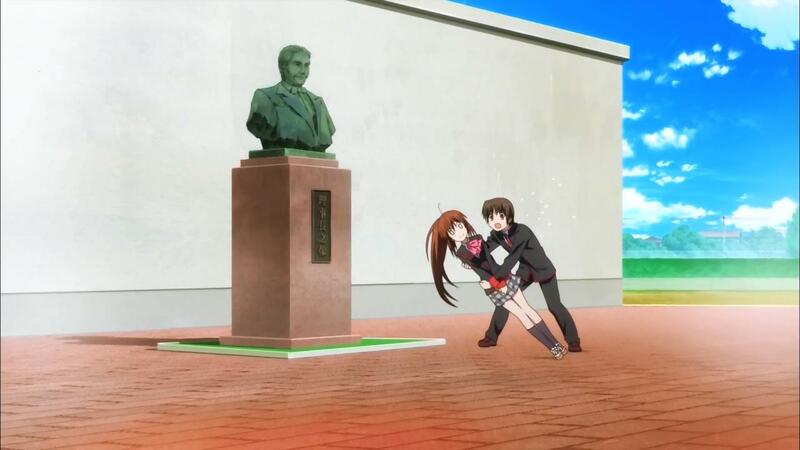 Little Busters Refrain Episode 10: Flashbacks! So there was a bus accident that killed everyone and Kyousuke somehow turned time back to make Riki someone who would be able to handle the tragedy without him? And conveniently, his powers are starting to wane and he’s run out of time despite being able to repeat certain events over and over again until Riki got them right. Well, I guess is could be argued that “the power of friendship” granted his wish to help Riki, so his powers would naturally disappear when Riki no longer needed it. That means he succeeded, right? This is why I hate wish-granting magic. I guess next week is when we find out. Now, will time revert to the aftermath of the accident to see how Riki and Rin handle it? Or will time go back once again so that Riki and Rin can save everyone? 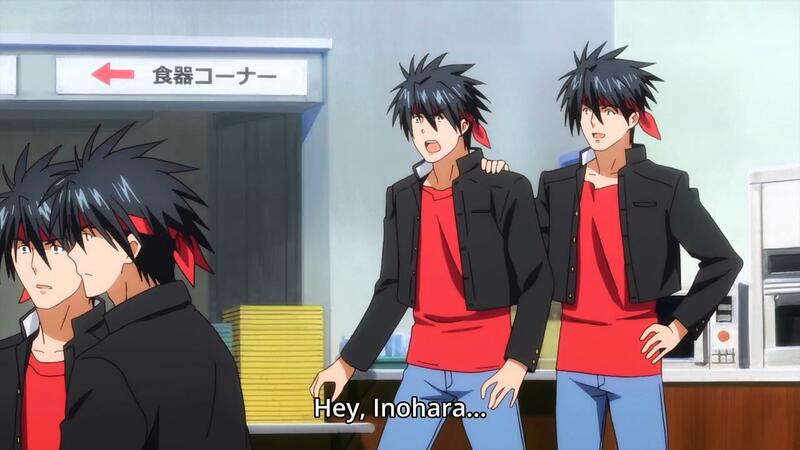 Author marthaurionPosted on December 11, 2013 Categories Little BustersTags baseball club, lb2 Comments on Little Busters Refrain Episode 10: Flashbacks! 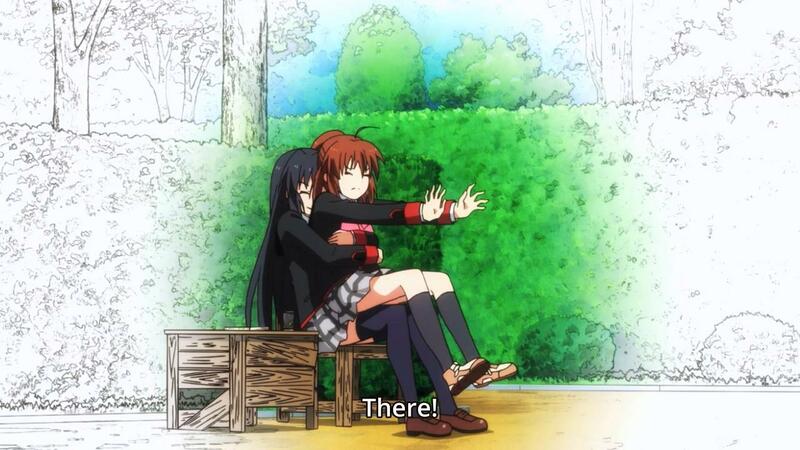 Little Busters Refrain Episode 9: Is that everyone left? It looks like Riki has managed to successfully reassemble most of the original Little Busters. He’s still missing Kyousuke, but I’m assuming the point is to make a Little Busters without his help. But Kengo knows as much as Masato. So, when he said that he’d protect Riki and Rin forever…did he mean to bind them to this infinite time loop so they’d remain kids? That’s actually quite sinister. What an interesting scene at the end…with Kyousuke pretty severely injured. Does this have to do with the “disappearance” of everyone else? It sure looks like it. Four episodes left…either they tackle Kyousuke or they actually find out the secret of the world. Apparently, the world is going to end soon…sounds pretty dramatic. 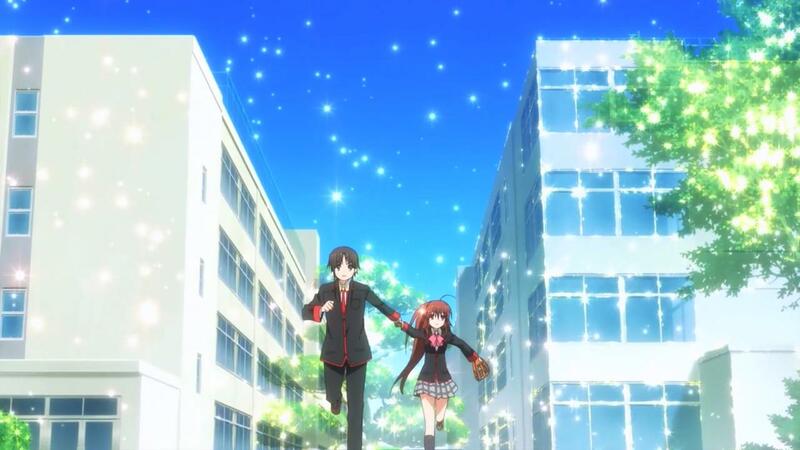 Author marthaurionPosted on December 4, 2013 Categories Little BustersTags baseball club, lbLeave a comment on Little Busters Refrain Episode 9: Is that everyone left? Wait…just how much does Masato know? 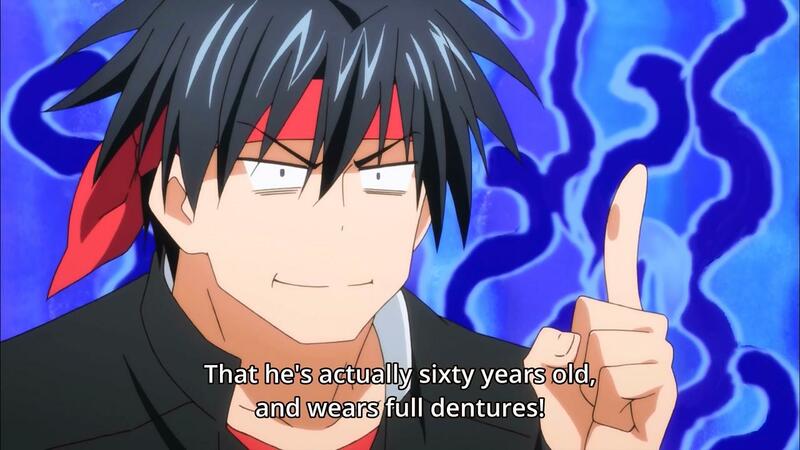 It’s like he was planning something when Riki tried to restart the Little Busters. Seriously, whatever this secret is (cat overlords), it’s like everyone but Riki and Rin know about it. And here I was thinking Masato was just an idiot. I’m curious why Masato didn’t disappear like everyone else after his story was resolved. Who knows? Maybe he will. But he did say he would stay with Riki until the end. Is it just because he’s a male character? Is this a gender-specific disappearance? Because I’m actually cool with that. Anyway, next week is Kengo? 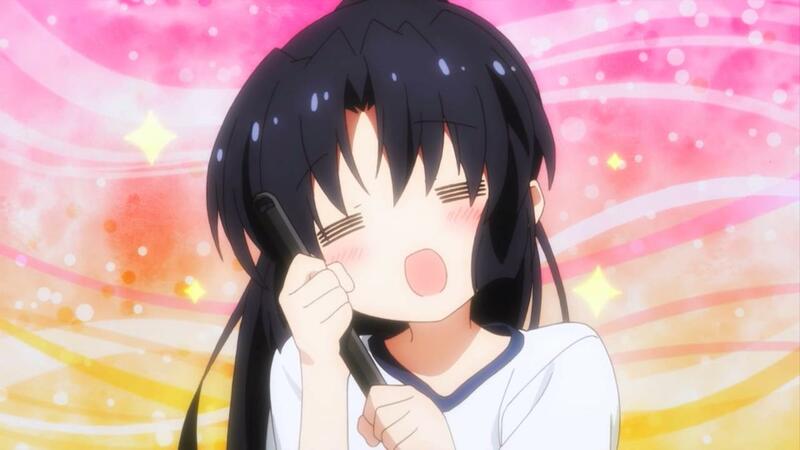 Little Busters Refrain Episode 7: Time loop engage! So it looks like time has looped again. This time, Riki has to take on the role of Kyousuke and gather together the Little Busters. While Riki seems to retain few memories of previous events, Rin seems to remember a lot more, although no exact events. Kengo seems to remember too, and he looks to be berating Riki for simply copying Kyousuke rather than coming up with his own thing. I’m inclined to agree. There were some flashes near the end of the episode to empty spots in the school. Is this supposed to indicate that all of the missing friends are still missing? Is this just something for Riki and Rin or is everyone else going to magically come back? 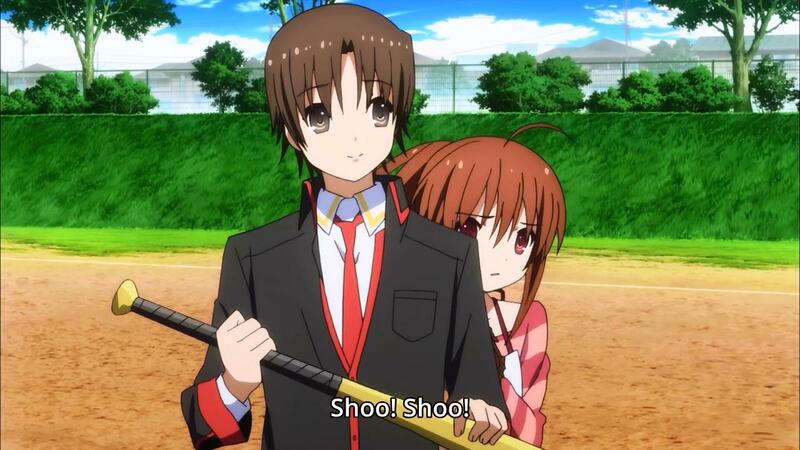 Author marthaurionPosted on November 20, 2013 Categories Little BustersTags baseball, lb2 Comments on Little Busters Refrain Episode 7: Time loop engage! What kind of competition is it when you pitch to your own ally? Shouldn’t you pitch to your opponent’s ally? And Riki’s big plan was to take Rin and run away? Did he really expect that to work? I mean…he’s the main character. He’s naturally going to be drawn back to everything. Everyone knows that. So now Rin has to go back to the other school where she has no friends. Will Riki continue to desperately try to save her? Maybe he’ll take even more drastic measures (my suggestion is to lock her in a box…always works). If Rin’s having this much trouble with a simple exchange program, how is she going to react when she realizes all of her friends are disappearing? Oh my god! It was Kyousuke all along! How could we have ever seen it coming?? But we still have the question of why he did it. Well, sort of. We know quite a bit now. Apparently, he was trying to force Rin to grow up because everyone would disappear. But we still don’t quite know how they will disappear and why he was able to orchestrate it all. Presumably, it’s alternate timeline-related, considering how he could predict things before they happened. But has he now disappeared himself? Nearly all members of Little Busters have disappeared, so what else is left to do in this show? Sounds like a lot of episodes with Riki alone in despair would be soon to come. I thought only Yuiko knew what was going on, but it seems like everyone but Riki and Rin know the secret of this world. But why did they all walk away into the light? Did they really just disappear? It would make sense…after all, a certain someone was absent when Riki was telling everyone about their new relationship. Also, Kyousuke made that comment about not being around much longer. Anyway, next week is the final task. Then we can finally know what the secret of the world is, right? I still think it’s the cat overlord theory. Random side note: of course, Riki is the one who freaks out about going out with Rin. Isn’t he supposed to be the dense one?